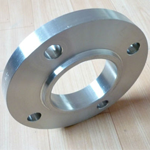 Hastelloy Pipe Flanges, Hastelloy Slip On Flanges, ANSI B16.5 Hastelloy Alloy Orifice Flange, Hastelloy Blind Flange, Hastelloy Nippo Flanges, Hastelloy Flange, Hastelloy Ring Joint Flange, Hastelloy RTJ Flange Supplier in Mumbai, India. 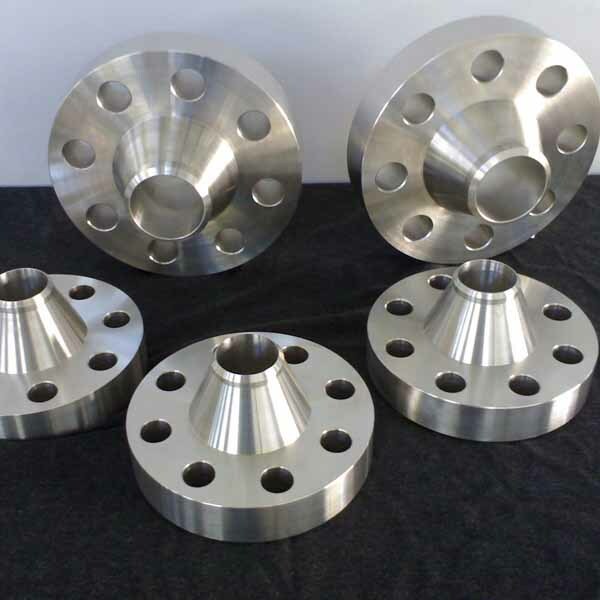 Hastelloy Socket Weld Flanges, ASTM B564 Hastelloy Threaded Flanges, Hastelloy Blind Flange, Hastelloy Alloy Nippolet Flange, Hastelloy Flanges Exporter, Hastelloy Alloy Weld Neck Flange Dealer in India. 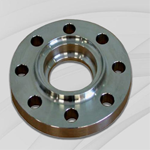 Ganpat Industrial Corporation offers a wide range of Hastelloy Alloy Flanges, which is extensively used to weld a variety of weld end connections and in many other suitable applications. 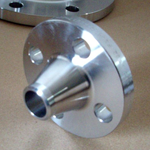 Leveraging on advance technology, we are involved in offering good quality of Hastelloy Slip On Flanges. We also offer these products in different grades such as Hastelloy Flanges, Hastelloy Flanges, Hastelloy B2 Flanges, Hastelloy B3 Flanges, and Hastelloy X Flanges. 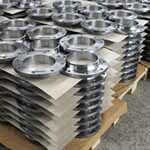 These Hastelloy Spectacle Blind Flanges is tested for their quality before dispatch to the market. 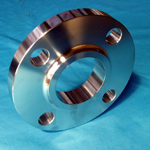 Further, these Hastelloy Weld Neck Flanges are known for its longer life. 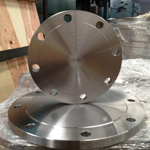 Meanwhile, these Hastelloy Lap Joint Flanges are also being offered in customized sizes and shapes to our customers. 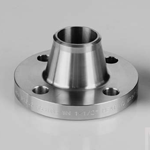 We also offer these Hastelloy Nippo Flanges at best possible rates. 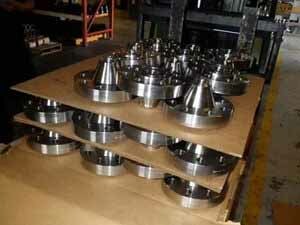 Furnace rolls made of Hastelloy Socket Weld Flanges were still in good condition after operating for 8,700 hours at 2150 Degree F (1177 Degree C). Hastelloy Ring Joint Type Flanges also has performed well in jet engine tailpipes, afterburner components, cabin heaters, and other aircraft parts. 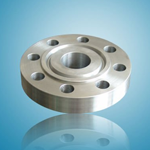 Hastelloy Spacer Flanges should be considered for use in environments where resistance to hot contaminated mineral acids, organic and inorganic chloride – contaminated media, chlorine, formic and acetic acids, acetic, acetic anhydride, sea water and brine solutions is desired. 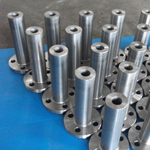 Typical applications of Hastelloy Long Weld Neck Flanges are steam turbine buckets and blades as well as compressor parts in gas turbines and high temperature bolts. 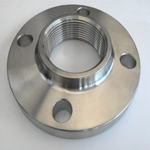 ASME SB564 Hastelloy Lap Joint Flange, ANSI B16.5 Hastelloy Alloy Ring Type Joint Flanges, Hastelloy Spectacle Blind Flanges, Hastelloy Industrial Flanges Stockholder, Hastelloy Spacer Flange, Hastelloy Screwed Flanges Stockist, Hastelloy Alloy Forged Flanges Manufacturer. Hastelloy Flanges are widely used in various industries including petrochemical, oil and gas, power generation, bulk liquid transportation, chemicals, pharmaceuticals, pulp and paper manufacturing, textiles and others. 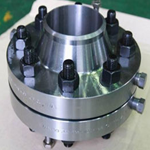 All our Hastelloy Flange are manufactured in accordance with international standards. Hastelloy Pipe Flange are packaged to ensure that there is no damage during transit. In case of exports, standard export packaging is done in wooden cases. 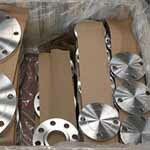 All Hastelloy Plate Flanges are marked with Grade, Lot No, Size, Degree and our trade mark. On special requests we can also, make custom marking on Hastelloy Flanges. hastelloy flanges, hastelloy flange, hastelloy blind plate flanges, Hastelloy raised face blind flanges, Hastelloy lap joint flanges, hastelloy slip on plate flanges, Hastelloy raised face socket weld flanges, Hastelloy raised face threaded flanges, hastelloy raised face weld neck flanges, hastelloy raised face slip-on flanges, Hastelloy industrial pipe flanges, hastelloy flanges specifications, Hastelloy flange price list, hastelloy threaded pipe flange, hastelloy flange price, hastelloy flange dimensions, hastelloy pn16 flange dimensions, Hastelloy flange class 150, hastelloy alloy flanges dimensions, Hastelloy flanges manufacturer. Melbourne, Howrah, Singapore, Moscow, Muscat, Ranchi, Santiago, Secunderabad, Colombo, Caracas, Rajkot, Doha, Jaipur, Bangkok, La Victoria, Jakarta, Nashik, Al Khobar, Noida, Istanbul, Mexico City, Edmonton, Sydney, Al Jubail, Tehran, Dallas, Calgary, Chandigarh, Madrid, Manama, Thiruvananthapuram, Bogota, New York, Kuwait City, Hong Kong, Ernakulam, Chennai, New Delhi, Bengaluru, Brisbane, London, Milan, Dammam, Mumbai, Los Angeles, Toronto, Ankara, Vadodara, Baroda, Haryana, Algiers, Lagos, Faridabad, Hyderabad, Gimhae-si, Jeddah, Hanoi, Karachi, Indore, Aberdeen, Pune, Thane, Abu Dhabi, Busan, Granada, Cairo, Jamshedpur, Perth, Kuala Lumpur, Petaling Jaya, Montreal, Kanpur, Coimbatore, Gurgaon, Ludhiana, Surat, Pimpri-Chinchwad, Ho Chi Minh City, Geoje-si, Lahore, Port-of-Spain, Rio de Janeiro, Navi Mumbai, Sharjah, Ahmedabad, Dubai, Courbevoie, Vung Tau, Riyadh, Visakhapatnam, Bhopal, Kolkata, Ahvaz, Houston, Seoul, Ulsan, Atyrau, Nagpur, Chiyoda. Pakistan, Angola, Serbia, Ghana, Argentina, Sweden, South Africa, Colombia, Germany, Kazakhstan, Bhutan, Gabon, Mexico, Denmark, Algeria, Lithuania, Egypt, Costa Rica, Norway, Iran, Italy, Russia, Afghanistan, Bulgaria, Switzerland, Croatia, Chile, Libya, Ireland, Malaysia, Yemen, Canada, India, Trinidad & Tobago,Tunisia, Bahrain, Hungary, United Arab Emirates, Slovakia, Tibet, Brazil, Morocco, Philippines, Mongolia, Ukraine, United States, Turkey, Netherlands, United Kingdom, Romania, Sri Lanka, Ecuador, Nepal, Portugal, Poland, Oman, Nigeria, Nigeria, Thailand, Mexico, Namibia, China, Macau, Belgium, Azerbaijan, Greece, Singapore, Kenya, Jordan, Taiwan, Bolivia, New Zealand, Chile, Vietnam, Belarus, Venezuela, Peru, Bangladesh, South Korea, Australia, Japan, Kuwait, Finland, Gambia, France, Iraq, Hong Kong, Czech Republic, Qatar, Israel, Poland, Indonesia, Iran, Lebanon, Saudi Arabia, Estonia, Zimbabwe, Austria, Puerto Rico, Spain.